Once you have made a commitment to get rid of your debt, you can find money for all sorts of other investing goals. You can direct your savings goals towards your children’s education. Ramsey emphasizes in his book, “The Total Money Makeover“, that it is important to save for your children’s college in order to provide them with the proper incentive for staying out of debt. Therefore, in order to save for your children’s education, you can concentrate on directing funds to either a 529 Plan or Education Savings Account. 529 College Savings Plans. Actually, there are two kinds of 529 plans that can be used for saving for college. Prepaid 529 plans permit you to buy tuition credits at current rates and can be used later on down the road. The other plan, a savings account, is the more typical 529 College Saving Plan and usually consists of a mutual fund of stocks in which the investments become less aggressive once your child nears college age. Tax-Exempt Status. While the prepaid 529 plans are often administered by colleges, the 529 savings plans are overseen by individual states with mutual fund companies typically taking care of the administrative portion of such plans. In addition, the money saved in a 529 plan is tax-exempt at withdraw if used for qualifying expenses. Where The Money Goes. If you opt to save for your children’s college by stashing money in a 529 plan, you will be able to later use the funds for your children’s tuition as well as any ancillary expenses, such as supplies, computers, equipment, books and fees. You can also allocate funds from the account for your children’s housing, as long as they are attending school at least part-time. Taxation And Penalty. If you make distribution from a 529 plan and it is not used for the aforementioned educational costs, the money will be subject to taxation and a ten percent penalty. This penalty is waived however if the beneficiary passes away and the money is distributed to the estate or to another listed beneficiary. It is also not assessed if a beneficiary becomes disabled. A Major Benefit. Nevertheless, one of the main benefits recipients of the 529 plan enjoy is in respect to the breaks they receive tax-wise. That is because states offer deductions for a portion or the entire amount of contributions made to the plan. Removing Funds Early. If you are making contributions to a 529 plan for your children’s education and are in charge of the account, you can even change your mind and remove the funds if you so wish. However, you will still be liable for the amount of the taxes and a 10% penalty. Another option is to transfer the funds to another one of your children. Signing Up. Opening such a savings plan is very easy. To enroll in a plan, you simply fill out the required paperwork and fund the account with a specific amount, or sign up to have money taken out of your checking account whenever you are paid. In addition, there are no limitations with respect to age or income like a Roth IRA. One of the best websites to find additional information about 529 College Savings Plans is SavingForCollege.com. Education Savings Accounts. Education Savings Accounts (ESA), also referred to as Coverdell Education Savings Accounts, offer tax benefits for the saver and beneficiary too. Money in an Educational Savings Account is permitted to grow tax-deferred and can be withdrawn for the proper educational expenses tax-free, not only at colleges and universities, but also at elementary and secondary schools as well. Contributions. Also, Education Savings Accounts have lower contribution limits. As of right now, contributions can made up to $2,000 in an Education Savings Account for each child. On the other hand, 529 plans do not typically carry any restrictions in this regard. Some Restrictions Apply. Contributions made to an ESA account must be distributed by the time the beneficiary reaches the age of 30 in order to avoid any kind of taxes or penalty. 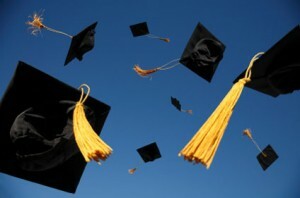 There are no limitations in this regard for holders of 529 plans. An individual’s yearly income can influence the amount of money that can be contributed to an ESA while it doesn’t have a bearing on an ESA account. 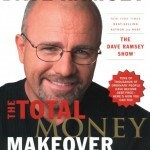 Working Dave Ramsey’s system from “The Total Money Makeover“ works if you follow the baby steps in order. Eliminating your debt will allow you to accomplish all of your financial dreams and goals such as saving for your children’s education.